It may seem incongruous to have a choir school in an Almshouse, and indeed the Newland Choir School is unique in this respect, but Choir Schools had become de rigueur for Tractarian worship. So to this end, alterations were made to some of the exisitng buildings to facilitate the school, known as the Newland Choir School and set in the Quadrangle of the Almshouses and St Leonard's church. 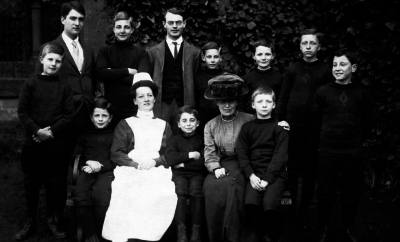 The Choir School began life as an ‘Industrial School’ for orphan boys on the 24th May 1864. The Organist & Choirmaster was to act as the Schoolmaster, together with an assistant teacher. 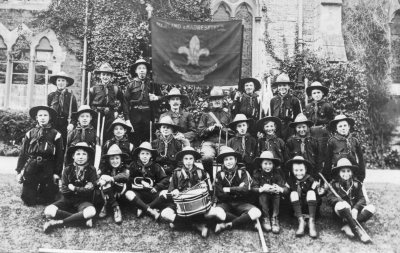 Also, it was further decided that non-singing boys could be admitted as day pupils, paying not less than sixpence per week. 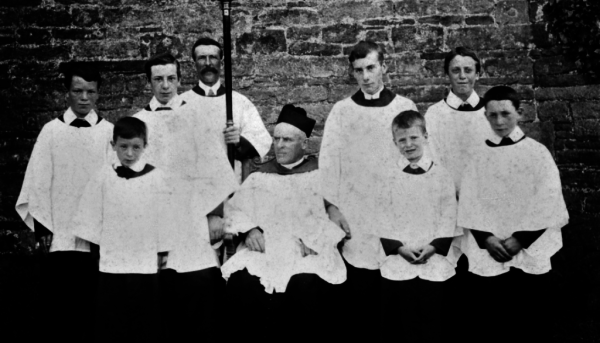 On the day of the consecration, eight orphan boys were admitted to the choir and remarkably there is a record of their names. William New, John Howse, Charles Hill, Herbert Vaile, William Arkell, John Barnes, Alfred Tansley and William Stuart. All of the finest quality from Wippell & Co.!​ Best dress was Eton suit with mortar board; everyday wear was a roll-neck sweater, knickerbockers and knee length socks. 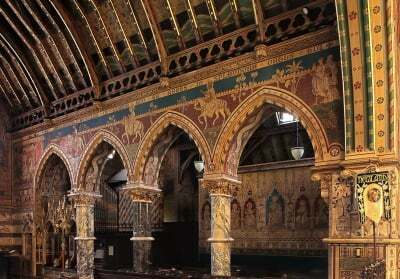 The church was consecrated on 21 July 1864 and was a triumph of High Church ceremony and music. 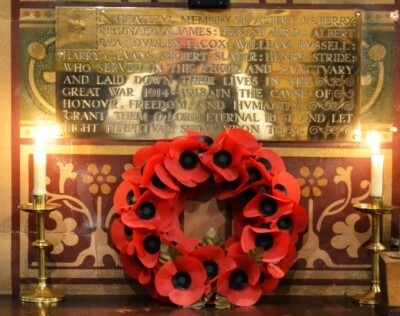 ‘The musical services were under the direction of Mr Edgecumb,organist& choirmaster. The warden begs to report that one of the boys, Herbert Vaile, aged 11 years, from the parish of Overbury In Gloucestershire and recommended to him by the clergy of Kenerton, as an orphan cared for by respectable farmers, has been sent home in bad health. The surgeon has examined him and requested this be so. Herbert Vaile is a remarkably nice boy and gives good promise of doing well in all ways. 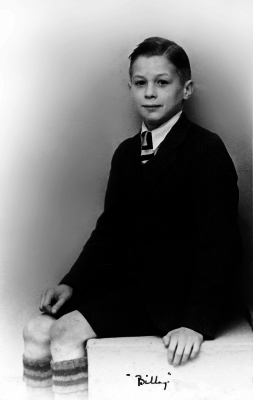 He received two of the prizes that the Trustees gave to the school at the late examinations. He is also an orphan of charity being one of several children entirely unprovided for. When two very powerful men have a similar vision but differ inordinately on how that vision should be achieved; therein lies a recipe for disaster. Preserved in the archives is much of the correspondence between Skinner and Lygon and as time progressed the letters become more and more vitriolic. Nor did it take long before relationships between Skinner and Edgcumbe, who was Headmaster, Organist & Choirmaster, to become strained in the extreme. The battles between Skinner, Lygon and the Trustees over the running of the school continued unabated. Finally, the Trustees, battle weary, used financial problems as an excuse to close the school on 1st January 1869. With the four remaining boys, Skinner pledged himself to keep the school going from his own funds; but he was not allowed use of the choir school premises or even the boys’ old caps and cassocks. Any choir which he managed to keep going would have been a shadow of its former self. 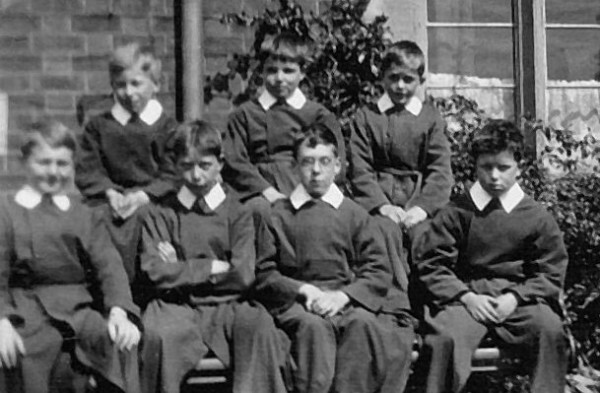 In August 1878 plans were being made for the reinstatement of the Choir School, with the full backing of the Trustees and by July of the following year eight choristers were in residence. They were no longer educated in the Choir School but sent to Malvern Link & Madresfield schools. They lived and had their musical education at the Choir School which was subsidized by the Trustees. By 1884 ten choristers were in residence. 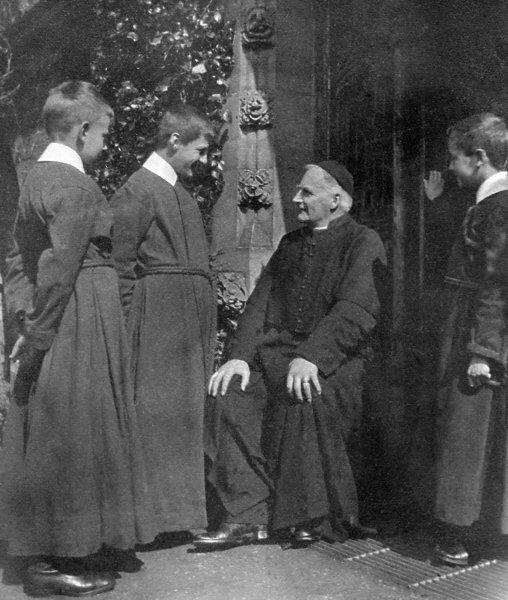 The choristers were jointly looked after by the Warden, the Choirmaster, who lived in his designated house adjoining and Matron, who had a room next to the boys’ dormitory. 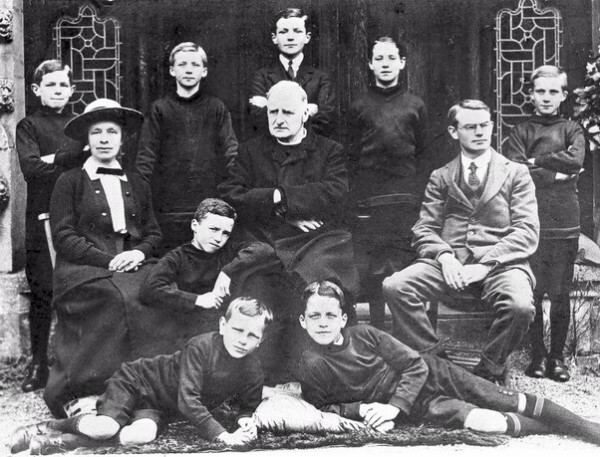 Orphan boys were phased out and advertisements placed in the Church Times and quality newspapers for choristers with fees of £5.00 per year! Such was the reputation of the school that choristers could be handpicked for their reading skills and singing voices. Cosby White retired in 1897 leaving the Choir School and the musical tradition firmly established, ready for its final magnificent flowering.. The second Vicar/Warden,the Rev. George Cosby White was appointed in 1877. Cosby White was a leading Anglo-Catholic, founder of the Confraternity of the Blessed Sacrament and Chairman of the compilers of Hymns Ancient & Modern. The Choir and other friends propose to give a Concert in the Board Room on Thursday February 10th. There will be two performances at 3 and 7.30pm. The proceeds will be devoted to the purchase of a piano for use in future Entertainments. 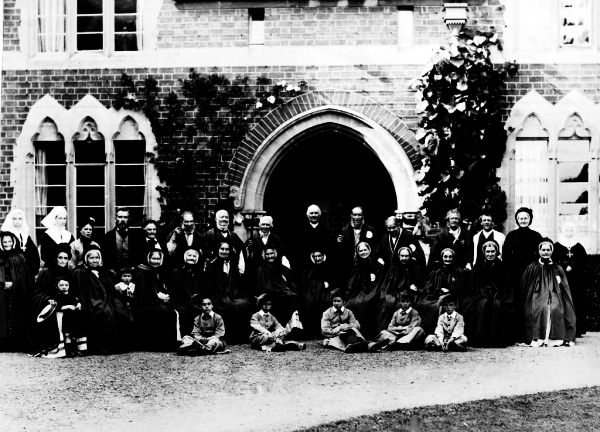 The Revd Canon Robert Wylde, arrived in 1897 and presided over the heyday of the Choir School until his retirement in 1927. Like Skinner and Cosby White before him, Wylde was a determined and brilliant man. That Newland should have had three such intellectual giants in succession, all with a passion for the Choir School, is quite extraordinary. Applications from educated parents, hoping to place their sons at Newland were pouring in, so Canon Wylde decided to return the choir school to its original purpose for the academic as well as the musical education of the choristers. The choristers were withdrawn from the two local primary schools which they attended and were now educated in the school room by Wylde and his sister. 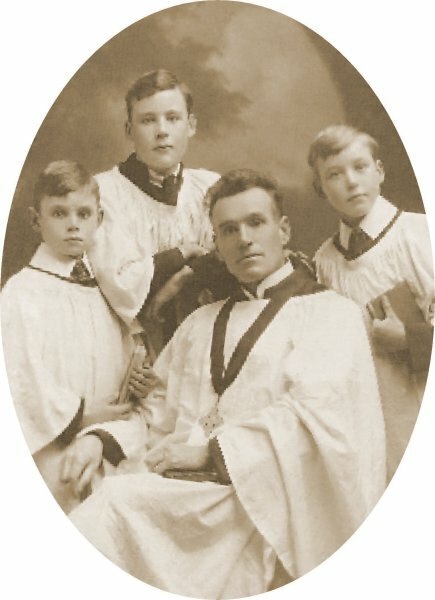 This is the era when the choir swept the boards in musical competitions, hosted many famous musical visitors, such as G H Palmer, Dom Anselm Hughes, Richard Terry, Sydney NIcholson, F A G Ouseley and Edward Elgar, and were as adept at singing in church as they were at giving concerts of secular music. ​ We congratulate the Choir on their success at the Musical Competition at Worcester on May 17th. Especially do we congratulate Mr. E.T. Cook for evincing special talent and his unwearied patience. The Special Prize for ‘Clear Enunciation in Singing’ amongst all the choirs competing in the competition was awarded to Newland. Dr. McNaught praised the Newland choristers most highly. Fr. Wilfred Osborn, who became Warden in 1929 was not sympathetic to the Newland tradition, having no enthusiasm for plainsong, which was the speciality of the choristers, or indeed the choir school itself. Great upset was caused when he stopped the choristers annual Christmas tea at Madresfield, and filled in the swimming pool which the boys had built themselves by damming the stream in the grounds. 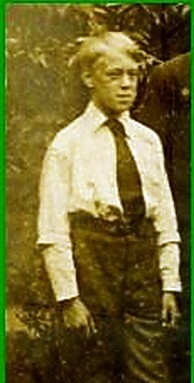 Osborn also held strict views on discipline, for which he assumed all responsibility and for the first time in decades the boys were regularly caned. The next warden, Fr. Arthur Hatherly, arrived in 1938 and tried to reverse the fortunes of the choir school. However, problems of recruitment, morale at a low ebb, parental concerns with interrupted schooling and of course, free secondary education eventually led to the closure in 1945. The final ‘nail in the coffin’ was the 1945 Education Act; the choir school was inspected and the buildings were condemned as unsuitable. The Trustees took the only logical decision and the choir school was closed. 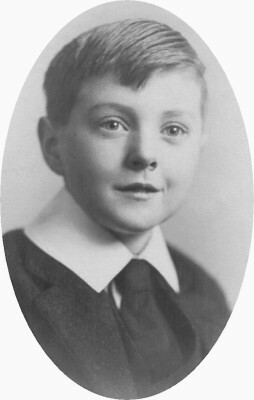 William Parish, aka Billy, was the last boy to join the Choir School in 1943. Billy was an orphan, and on the closure of the choir school was adopted by a Royal Naval Officer in Plymouth. Later in life, Billy had an illustrious career in the Royal Navy. 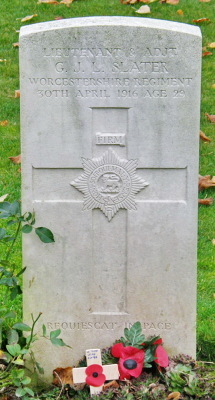 Shortly after the closure this brass War Memorial was dedicated to the nine choristers who were killed in action in World War I, the youngest being 16. The memorial also commemorates the altar server who died in World War II. 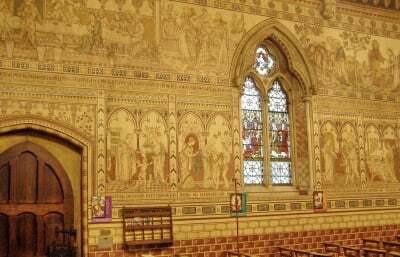 There is now an adult choir, consisting mostly of Community residents and our services maintain the long tradition of Anglo-Catholic worship. 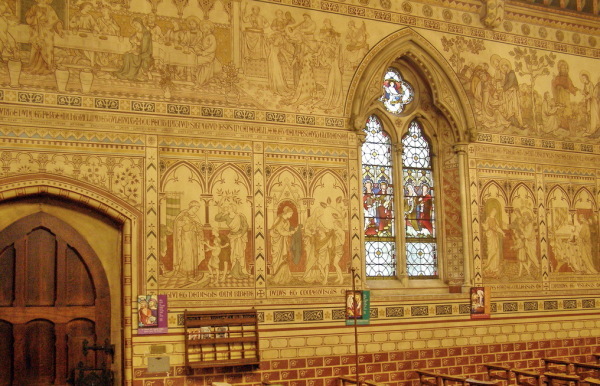 In 2012, history was recreated when a boys' choir processed up the aisle of the church for the first time in almost seventy years; that choir was St Peter's Collegiate Church, Wolverhampton, who sang Choral Evensong in St Leonard's and we continue to welecome visiting choirs of young people to the church. 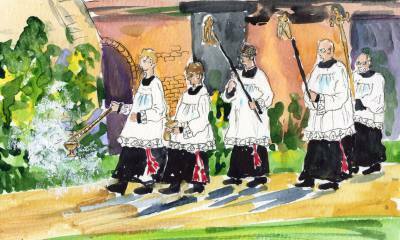 The magnificent Anglo-Catholic worship at St Leonard's was not just about the music but also about the ceremonial and ritual which is an integral part of all high church worship. The boys from the choir school were rightly famous for their singing, but another set of boys, local boys, were responsible for the ceremonial. 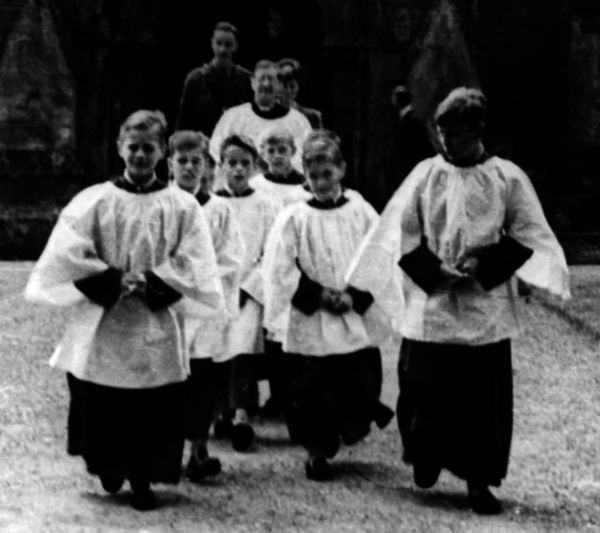 These were called the Beauchamp Altar Boys, who served alongside the adult servers. 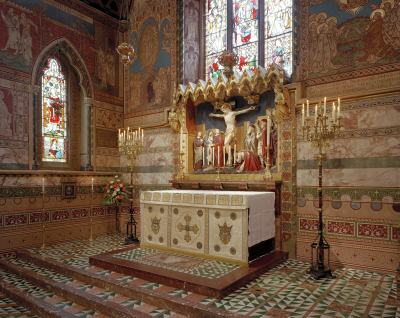 From the early days up to the present time, the fascinating history of Altar Serving at St Leonard's may be read by clicking on the watercolour opposite.